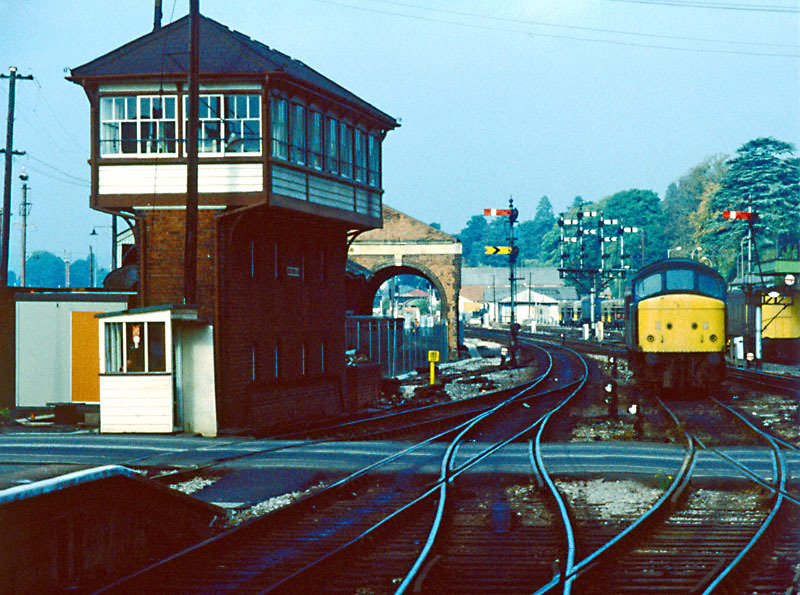 The signalbox and level crossing. Beyond that, the up starter (left) and down to up starter (right) can be seen, with the down innerhomes bracket in the middle distance. 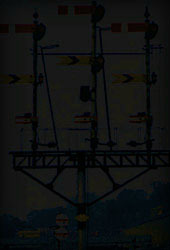 The loco is standing on the middle spur (see below). 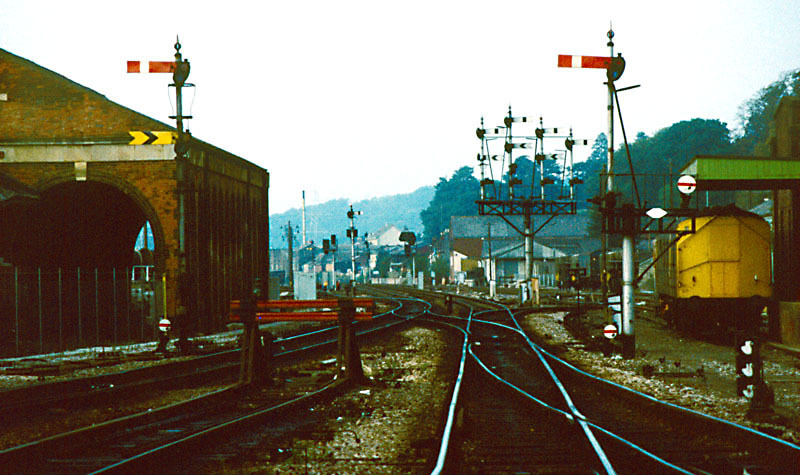 The view north from the level crossing. The up advanced starter and down home can just about be made out in the distance beyond the goods signal for exiting from the yard. The view from the middle platforms. The bracketed signal on the left is Middle's up relief home. 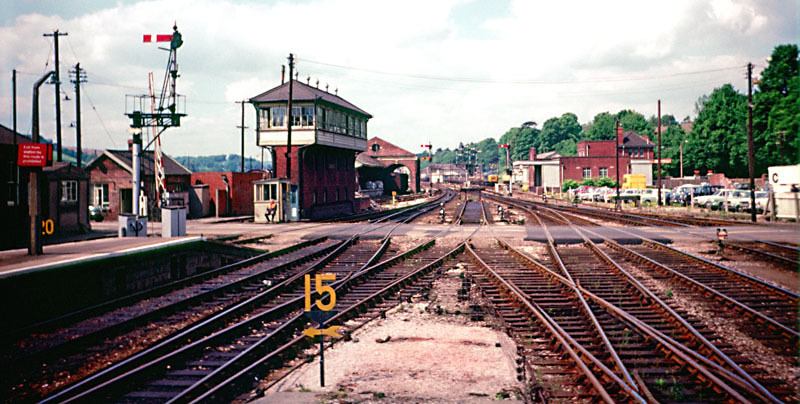 Directly in front of camera is the spur used to hold locos working up and down the bank to Exeter Central. Returning bankers were attached to the front of trains down the bank so they could lend additional brake force. These trains would arrive on the up middle (the layout offered no other choice) then shunt here to await the next banking duty. 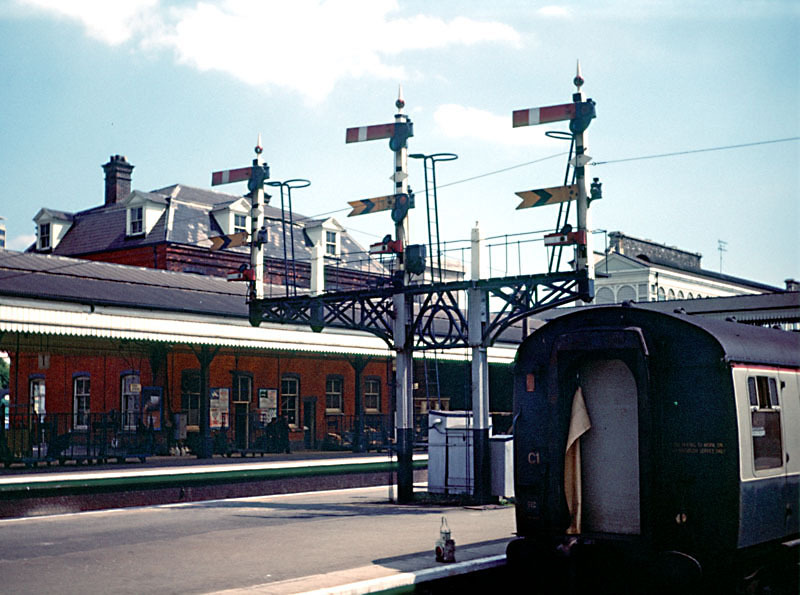 The down starters, with Exeter West's inner distants, were about a third of the way down the platforms. 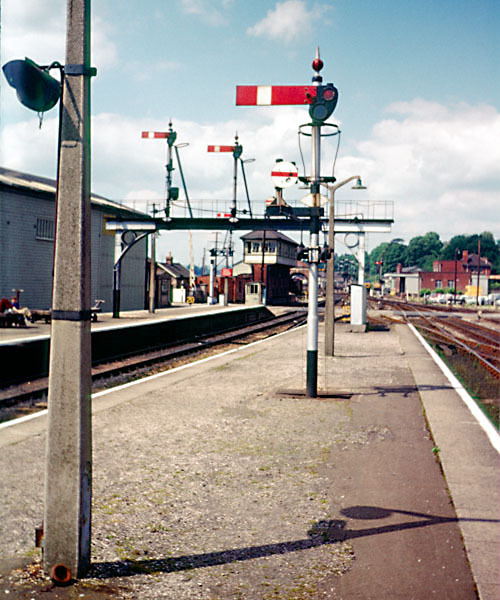 Middle had previously controlled crossovers between lines, but when these were abolished only the three main dolls retained signals. The up homes. 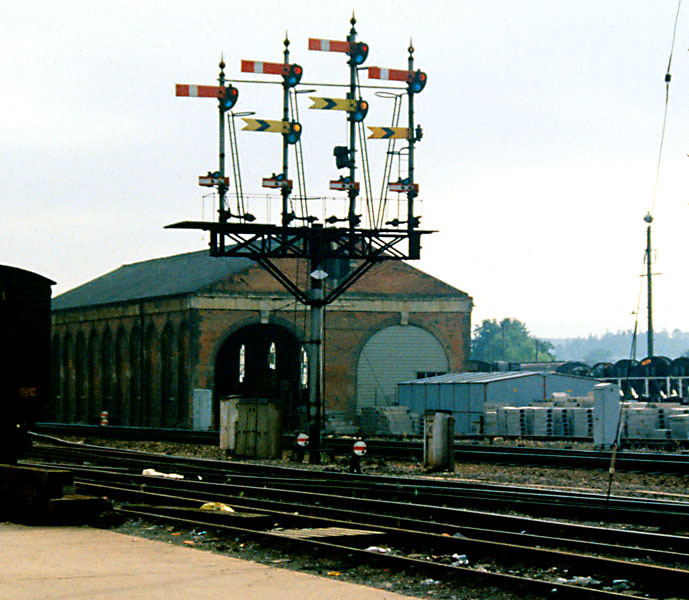 The one in the foreground was for trains reversing from the down middle; the two arms on the gantry applied to the up main and up middle. 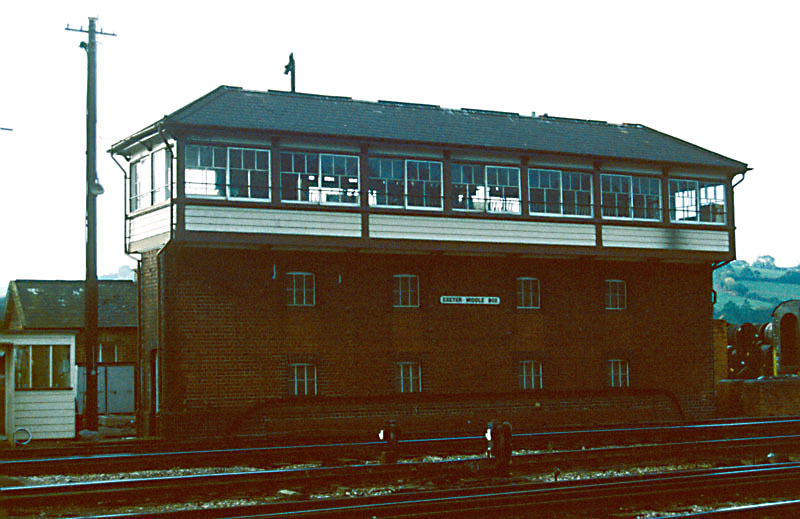 Behind the gantry is the up relief home.